After popular messaging app was bought by Facebook for $16 billion, many users proclaimed they would delete the app to prevent their data from falling into the hands of Mark Zuckerberg’s social network. People had a right to be fearful especially given how Facebook is all about compiling user data (that users knowingly provide). Koum blasts how recent privacy speculation about it collecting your data is “baseless and unfounded” but also “irresponsible” because that’s not what they’re doing. Are you still using WhatsApp after it was sold to Facebook? Or did you delete it? 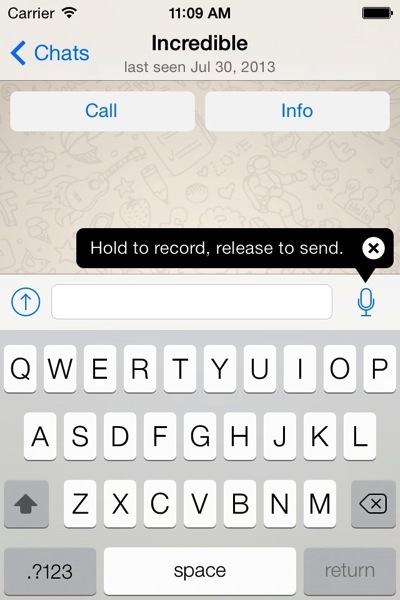 Update: WhatsApp for iOS has been updated with new privacy settings and background wallpapers. Go to Settings > Account > Privacy to manage who can see your ‘Last Seen’ status, profile picture and more.